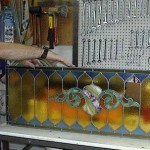 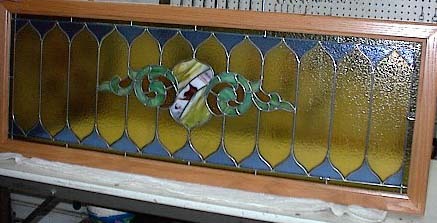 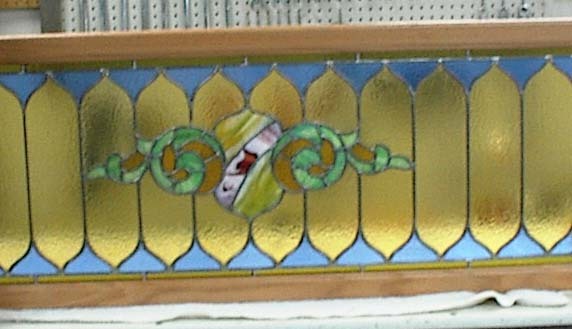 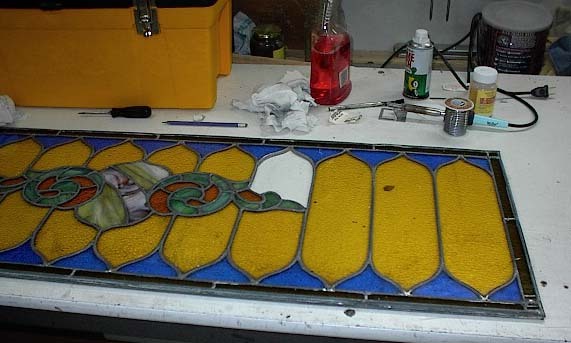 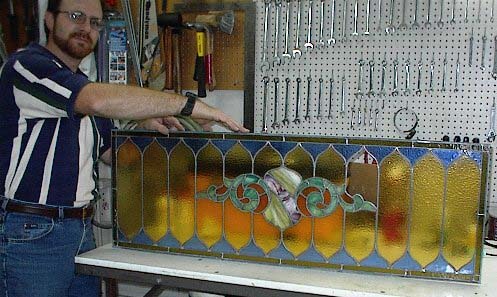 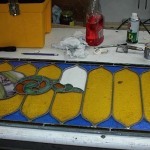 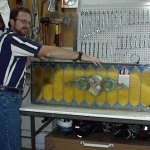 David restored this stained glass piece, which was once used as a transom window. 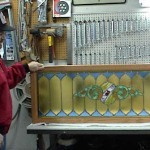 The piece was encased in a wood frame, which had many coats of paint on it. 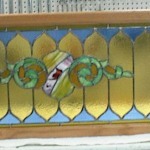 You could not see the the glass on the very edge of the piece because it had been painted over! 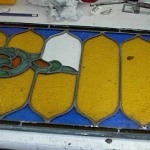 The original glass is approximately 100 years old. 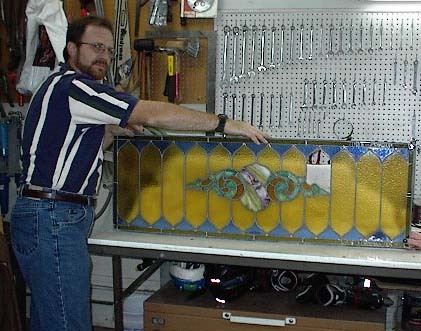 The cracked sections of glass had to be carefully removed. 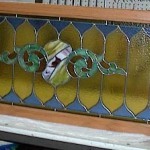 We were able to order replacement glass from the same manufacturer who made the original glass. 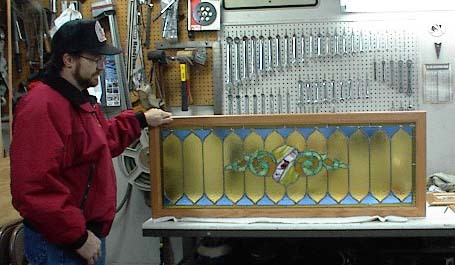 The restored piece was framed in a hand-crafted oak frame.